Keeping a stable Heading is key for many industrial applications. Examples include the navigation of UAVs, maritime vehicles, ground vehicles and robotics. Many of these applications make use of gyroscopes to determine their Heading. Unfortunately, the lack of a reference and the integration of erroneous gyroscope readings will quickly lead to an inaccurate heading estimate, commonly known as drift. A magnetic compass can be used to obtain a Heading that is referenced to North. However, the downside of using a compass is that it is easily disturbed by magnetic distortions that are commonly faced in industrial environments. Xsens' AHRS and GNSS/INS inertial Motion Trackers combine the strengths of gyroscopes and magnetometers in such a way that a stable Heading is maintained. The advanced sensor fusion algorithms are able to identify and reject strong magnetic distortions. In order to determine the Heading as accurate as possible, all Xsens' AHRS and GNSS/INS inertial Motion Trackers are equipped with an on-board model of the worldwide magnetic field characteristics, also known as the World Magnetic Model (WMM). The Earth's magnetic field is however changing constantly - which means that the World Magnetic Model also requires occasional updates. Normally, an update is published once in every 5 years, with the last update in 2015. 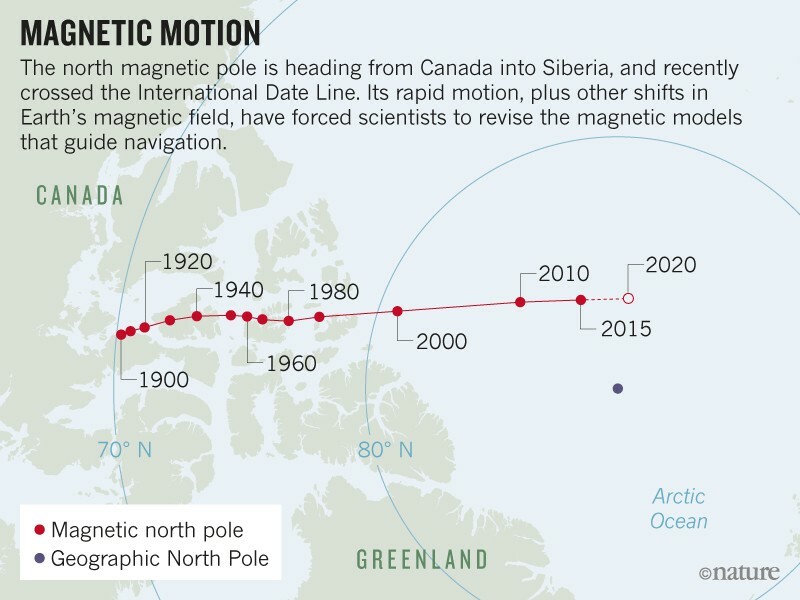 Recently however, an abnormal and significant change in the location of the magnetic North has been observed; significant enough to perform an "emergency update". As a result, Xsens has released a beta firmware for the MTi 1-series, MTi 10-series and MTi 100-series as well as a beta of the MT Software Suite, that incorporates the latest WMM 2015v2 update. We recommend all users to update to this version using the instructions on our MTi Firmware and MTi Software download pages.